specializes in analytical tools and software for machine condition monitoring. The company is one of the largest suppliers of oil and fuel analysis instruments to industry and the military worldwide. Industry clients include petrochemical, mining, marine and power generation companies as well as commercial testing laboratories. 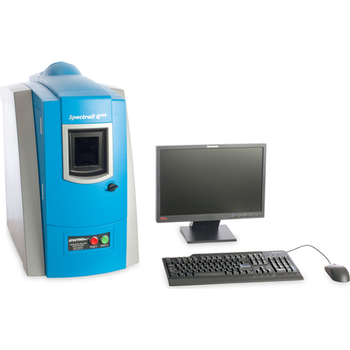 SpectroFluidscan Q1000 was made possible due to years of experience and extensive research and development based on our customer's need to have an on-site lubricant analysis capability. FluidScan represents the state-of-the-art in infrared technology and can be used to quickly check the condition of lubricants such as hydraulic fluids, engine oils, turbine oils and gear oils for degradation and the presence of contaminants. 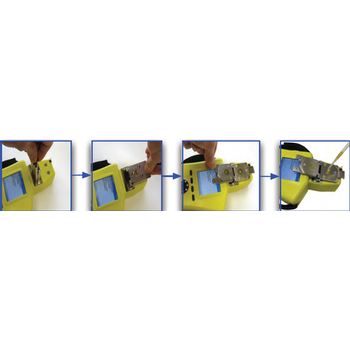 A Holistic Approach to On-site Oil Analysis. 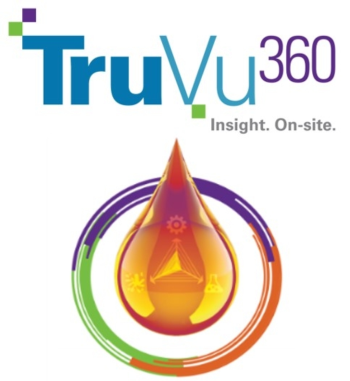 TruVu 360™ Enterprise Fluid Intelligence simplifies and streamlines the on-site oil analysis process, so high-quality information and actionable intelligence leads to effective decision making. 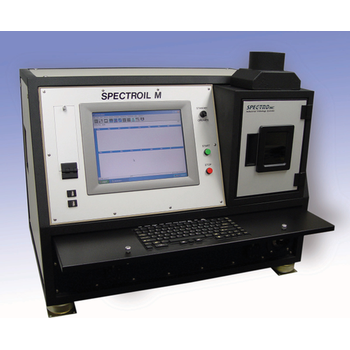 The Spectroil M/N-W is the military version of the Spectroil M family of oil and fuel analysis spectrometers. 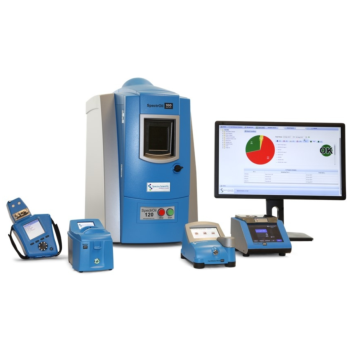 It is a compact, rugged, transportable and easy to use spectrometers designed specifically for the analysis of wear metals, contaminants and additives in lubricants, hydraulic fluids and coolants. Engine oil analysis is a reliable and mature non-destructive testing (NDT) technique used to monitor the condition of the engine in development, on the production line and for in-service maintenance. High performance reciprocating engines and jet turbines are complicated mechanical systems with many high speed moving parts. 5 simple tests to comprehensive engine oil analysis: Oil Chemistry, Viscosity, Elements, Fuel Dilution and Total Ferrous. 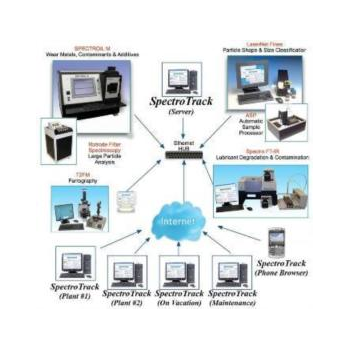 SpectroTrack is an Information Management System (IMS) optimized for laboratories that specialize in the analysis of in service (used) lubricants for machine condition monitoring. The browser-based system is the ideal tool for accessing historical and trend information about an organization's high-value assets. The Spectroil Q100 is now the SpectrOil 100 Series, which includes the new 110 and 120 models. 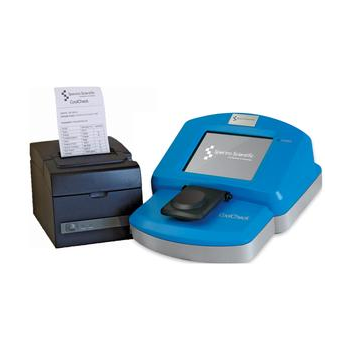 These analyzers deliver improvements in performance, stability and ease of use. 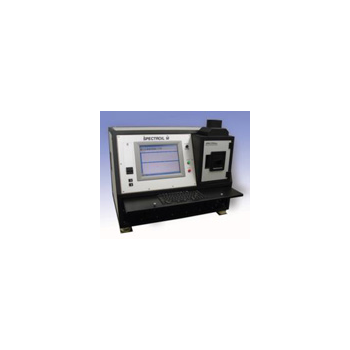 SpectrOil Rotating Disk Electrode Optical Emission Spectroscopy (RDE-OES) is a proven means of precisely determining elemental composition in engine oil, coolant, fuels, grease, process water, and a wide variety of critical operating fluids. For decades this robust technology has been used as both a quality control tool and machine health monitor. 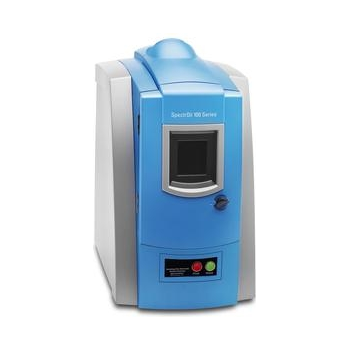 The SpectroVISC Q310 is a dual-bath, bench-top semi-automatic kinematic temperature viscometer optimized for the analysis of used and new lubricants. It conforms to the requirements in ASTM D445, D446, D7279, IP 71 and ISO 3104. 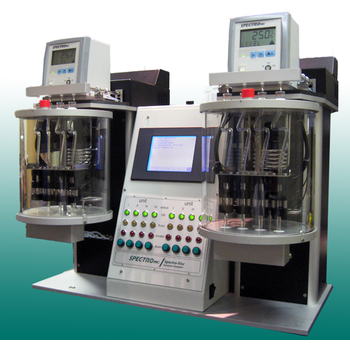 It is also the ideal system for used oil analysis laboratories that need to test a wide range of lubricant viscosities. Cooling systems play a vital role in preserving the overall engine heat balance and in protecting engine components against corrosion and other problems. Machinery and Lubrication magazine estimates that 60% of engine downtime in the commercial sector is cooling system related. CoolCheck provides automated measurement and profiling of coolant condition and diesel exhaust fluids integrity. The analyzer employs both NIR and UV spectrometers to determine the health of your coolant system. 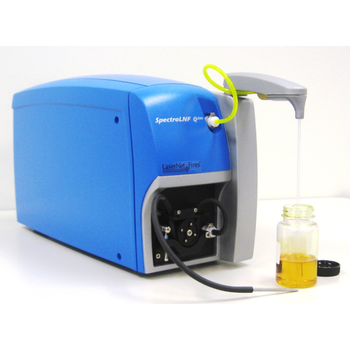 The New Generation LaserNet FinesC (LNF-C) SpectroLNF Q200 is a bench-top analytical tool that combines the oil analysis techniques of particle size analysis, particle counting and dynamic viscosity in one instrument. A comprehensive oil analysis program reduces unexpected failures and costly downtime. 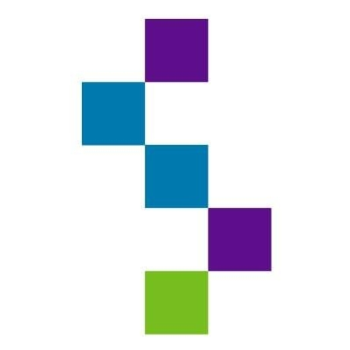 TruVu 360™ Enterprise Fluid Intelligence Platform, an all-encompassing web-based fluid analysis data management system. The new platform simplifies and streamlines the fluid analysis process so high-quality information and actionable intelligence facilitate rapid decision-making. It closes the gap between maintenance recommendations on the oil analysis report and the impact on continuous process improvement. Visually and graphically, it provides a dashboard so management can see the effectiveness of the program across the enterprise in real time. 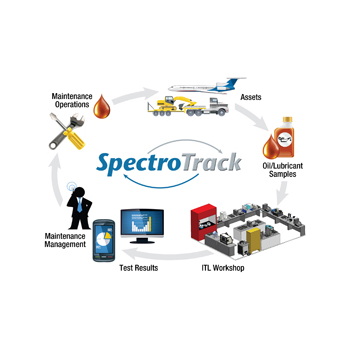 The Spectro Industrial Tribology Laboratory (ITL) is a turnkey system providing condition monitoring for machines, lubricants and engines by oil analysis. The measurements made using the ITL determine both lubricant and machine condition, the cornerstones of any effective predictive maintenance system. The Spectroil Q100 has a standard configuration that includes 22 elements. Wear Metals: Al, Cd, Cr, Cu, Fe, Pb, Mg, Mn, Mo, Ni, Ag, Sn, Ti, V, Zn Contaminants: B, Ca, K, Si, Na Additives: Ba, B, Ca, Cr, Cu, Mg, Mo, P, Si, ZAn additional 13 elements (Sb, Bi, As, In, Co, Zr, W, Sr, Li, Ce, Nb and Rh) can be added at anytime without the need for hardware upgrades. 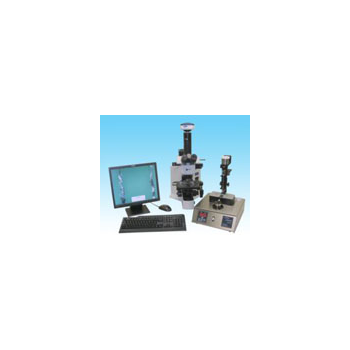 The Spectroil Q100 is customized for laboratory environment.